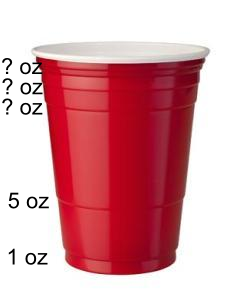 Red Solo Cup / I Lift You Up / Let’s Find the Volume! / Let’s Find the Volume! The red Solo cup, apparently. What are those little markings between 12 oz and “Top Me Off, Bro”? Can you use proportions to find it? Similar polygons? Volume? Help me out here. Can I have a ruler? Can I use Geogebra to diagram this? Wait, can’t I just physically get my hands on one? Actually, let’s do this in a manner that A) won’t get us fired, and B) doesn’t have that obnoxious “BroBible” stuff down on the bottom right. Or even better than that, have an actual one on hand with some rulers hanging about, just for good measure. The good news is, this problem has a real nice, testable solution: measure out the ounces for the attempted solutions and fill her up. Were your students right? If not, were we too low? Too high? Where did you go wrong? 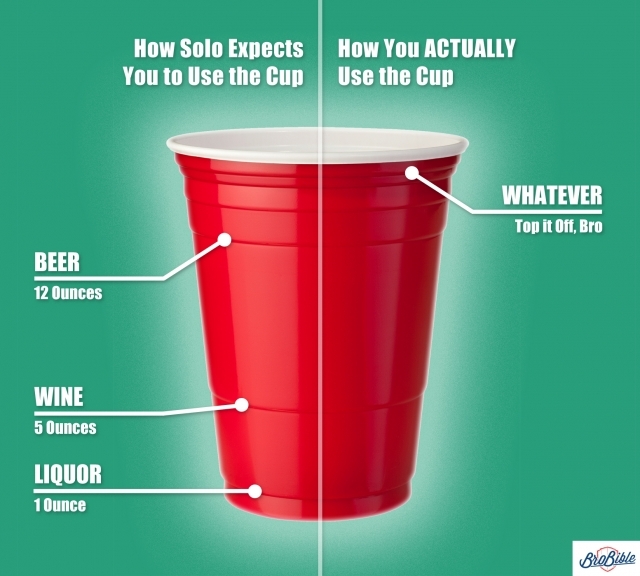 Just make sure that when your students are working your next school fundraiser, they don’t overfill the red Solo cups with too much orange drink. That’s where the money is made and you want to be precise, after all.